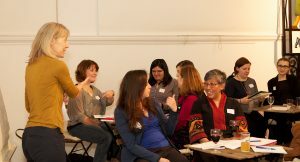 "This Network gives me a really positive feeling - great to have a space to meet and listen to passionate and driven women"
WINS Oxford brings together an intelligent, forward thinking group of women who are providing vital mutual support and inspiration for each other. Whether you are a regular attendee or just ‘testing’ the networking waters, come and enjoy the unique ‘Women in Sustainability’ experience being provided for you in the city. Thalia is a specialist in solving overwhelm, confidence and decision making issues for individuals and teams. 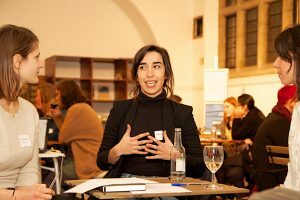 Since joining Women in Sustainability as the Oxford Hub Lead in 2017, Thalia has been bringing her coaching expertise and perceptive facilitation skills to creating a vibrant hub for the ‘women in sustainability’ community in Oxford. Throughout a career working in sustainability, community development overseas and with refugees in the UK, Thalia’s focus has always been on people and their well-being. 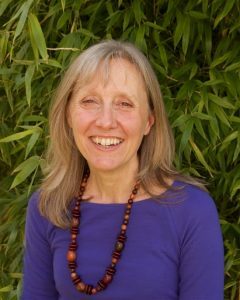 She now combines her passion both for the environment and business as a force for good, with her team and individual coaching. Her family and allotment give her the space to relax and re-energise. Building on our highly successful event around how to be a powerful influencer in January, this event will give you the opportunity to reflect on your leadership style, deepen your insight on what is working (or not!) and explore new..
We’re looking forward to seeing you at the Women in Sustainability Network (WINS) Oxford Hub event on 31st January, 8.00 am to 10.30 am. With our discussion topic ‘How to be a powerful influencer: developing your skills as an influential.. Celebrating Success: Exploring Personal and Local Perspectives of the Sustainability Community November can be gloomy but we’re going to celebrate. Join us for our last WINS Oxford Hub event of 2018 where we’ll be showcasing local success stories from across.. Wealth & Sustainability - An Oxymoron? Welcome back to our Oxford WINS Network Hub! Our next event is on 26th September, kindly hosted by John Lewis at their Westgate Store in central Oxford, and where we’ll be exploring the common blocks with money and sustainability. 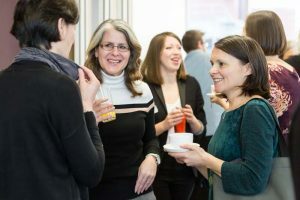 Whether..
After the success of our taster event in February, Women in Sustainability are back with the first ‘proper’ WINS Network Oxford Hub event on 20th March. 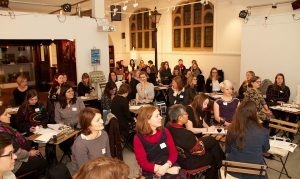 Feedback from February suggested the value of enabling you to meet as many ‘women..